I love black & white photography, and there are some really excellent products available to help convert digital images to black & white. So when I heard about Tonality from Macphun, I wasn’t that excited. 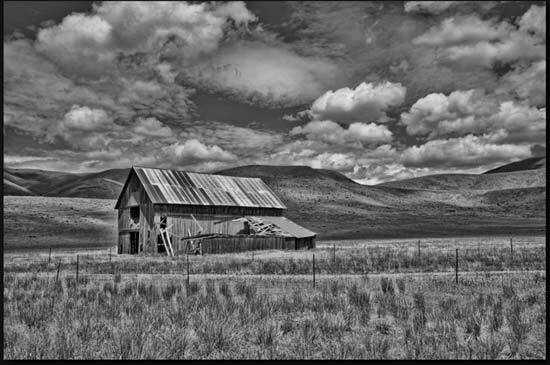 Having to go against established tools like Nik’s Silver efx, Alien Skin Exposure, and OnOne Perfect Black & White among others. 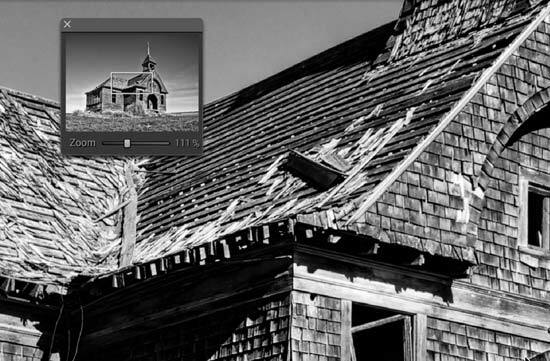 However, when I started using Tonality Pro, it immediately became clear this was something special. Tonality costs £13,99 / $14.99, and Tonality Pro costs £41.99 / $69.99. Tonality is available in two versions - Tonality, a stand alone app for about $20, and Tonality Pro, standalone and plug-in for about $70. I used the Pro version, but the UI is the same across both. 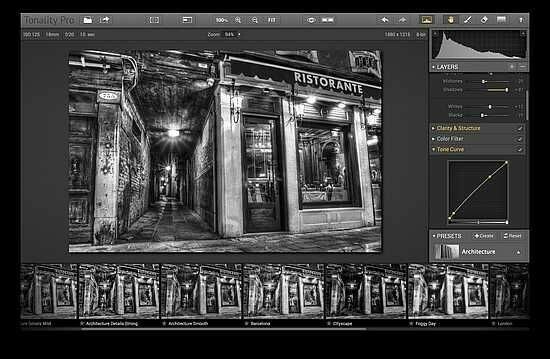 Pro adds a few features, like the mentioned plug-ins for Lightroom, Photoshop, and Aperture, as well as increasing the number of layers supported from 5 to 8, adding blending modes to the layers, and the ability to use a source color in the image - more on all of these in a bit. 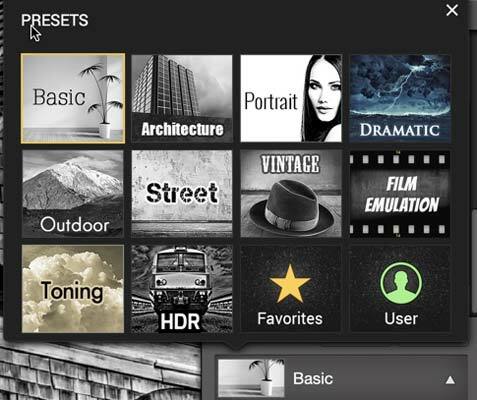 The user interface is laid out nicely - if you use Lightroom or one of the other Macphun apps, you’ll feel right at home. You have a main work area with all the adjustment panels on the right, and across the bottom you’ll see samples of the loaded image with the current preset group applied. Along the top are common tools such as crop, resize, and layer tools. Below that is a context sensitive bar with options for the currently selected tool. 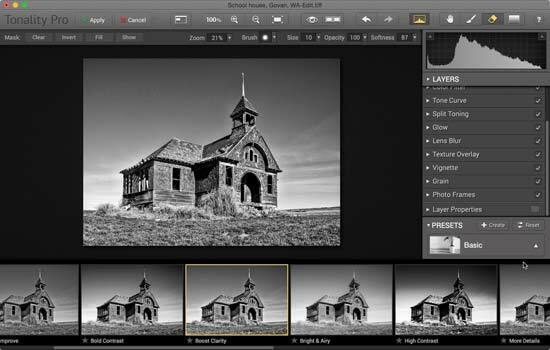 Tonality Pro supports a number of file formats including JPG, TIFF, PSD, and many RAW formats. Regardless of the image type or size, the app is FAST. Once the image is loaded, there is no waiting to have an adjustment applied, it just happens. The preview thumbnails for presets updates with the current adjustments, showing how they would look on top of your current adjustments. 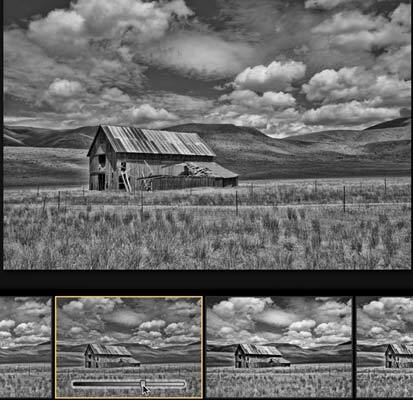 There are options to use various presets with eight categories of predefined areas like toning, vintage, and film emulation, as well as saving presets as favorites or creating your own. All presets can be modified as much as you like. Most of the supplied presets are great starting points but I found the HDR options to all be over the top and would not find a use for them in any of my shooting. 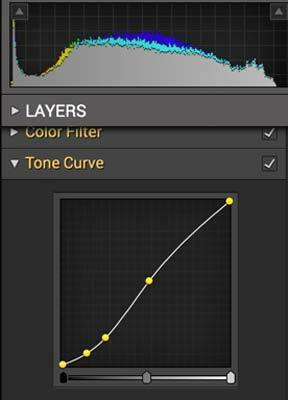 A great starting point is the Auto Improve preset. This does a good job of analyzing the image and making adjustments to enhance contrast and detail. You can then fine tune this with the various adjustment panels, or globally adjust the strength of the adjustment by using the slider that is displayed in the preset when the mouse is over the thumbnail. Of course, working with most of these adjustments, it’s nice to view your image at 100%. With the navigation tool, it’s easy to move around your image while viewing a zoomed in version for editing. One of the strengths of Tonality is the ability to work in layers. The Pro version supports up to eight layers, and adjustments can be applied to the entire layer or only specific areas through the use of masks.